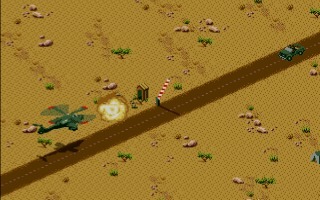 Gunship 2000 is a helicopter combat flight simulator created by MicroProse as a sequel to Gunship. 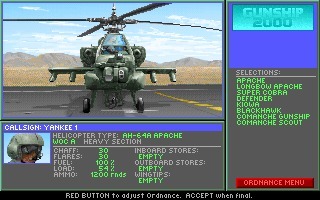 Available vehicles include the AH-1 Cobra, AH-64 Apache, OH-58D Kiowa Warrior, MD 530MG and UH-60 Blackhawk. 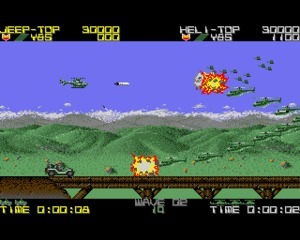 Silkworm is a side scrolling shooter arcade, developed by Tecmo and released initially in 1988. 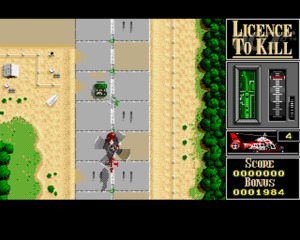 In 1989 the game was ported to Amiga, Atari ST, Commodore 64 and ZX Spectrum by Random Access. 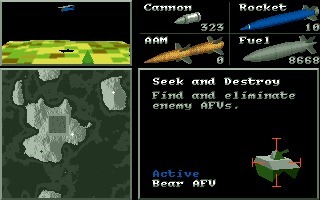 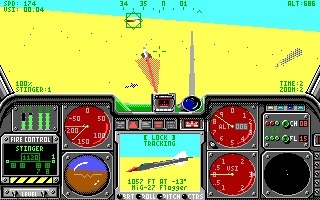 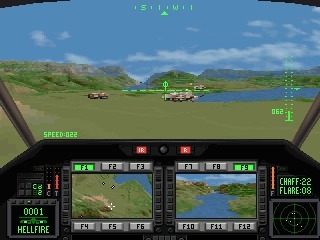 LHX Attack Chopper is a 1990 war helicopter simulation game developed and published by Electronic Arts. 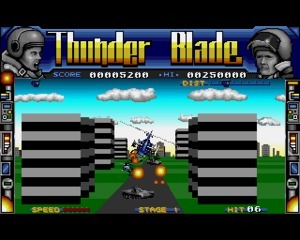 Thunder Blade is an arcade released by Sega originally in 1987 where the player has to control an helicopter, the Gunship Gladiator, to destroy all enemies using guns and missiles and defeat the dictator.